Header illustration for Chick-fil-A’s 2016 Peach Bowl Quiz. 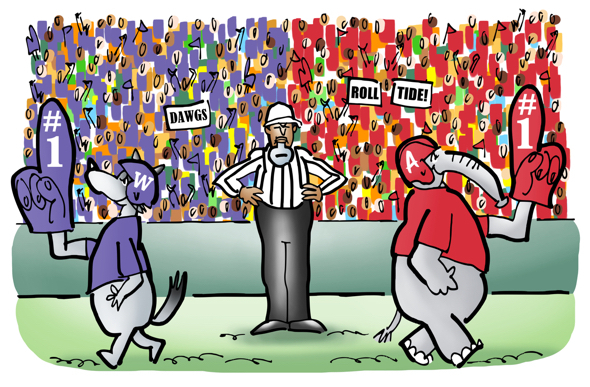 The game pitted the University of Washington Huskies against the Alabama Crimson Tide. (Alabama’s mascot is an elephant.) Alabama won, 24-7. You can read more about the quiz in this post, and see all 10 illustrations on Chick-fil-A’s website.